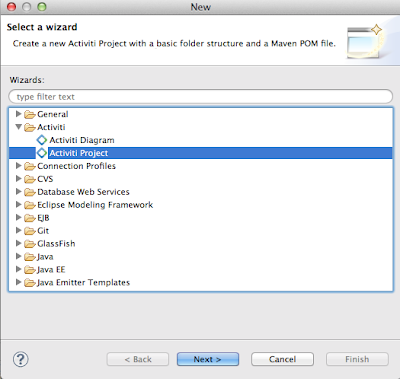 Activiti is a great open source workflow + BPM platform, which you can use in your own java application (embedded) or test it in the provided Rest or Web demo applications. 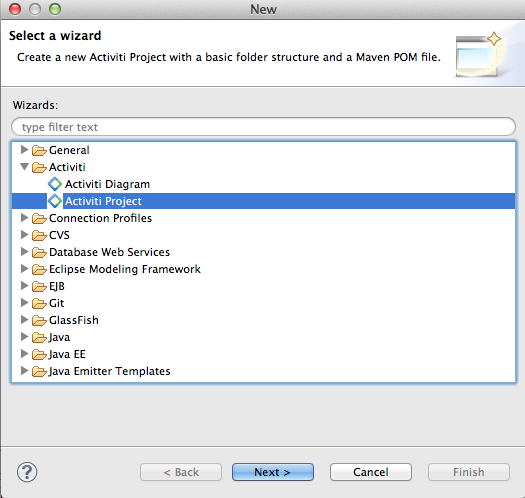 Activiti also provides an Eclipse designer plugin which you can use to create your own BPMN 2.0 definitions and export this to the Activiti applications. In blogpost I will show you the steps how to get this working on the WebLogic 12c JEE container and in Oracle Enterprise Pack for Eclipse as IDE. 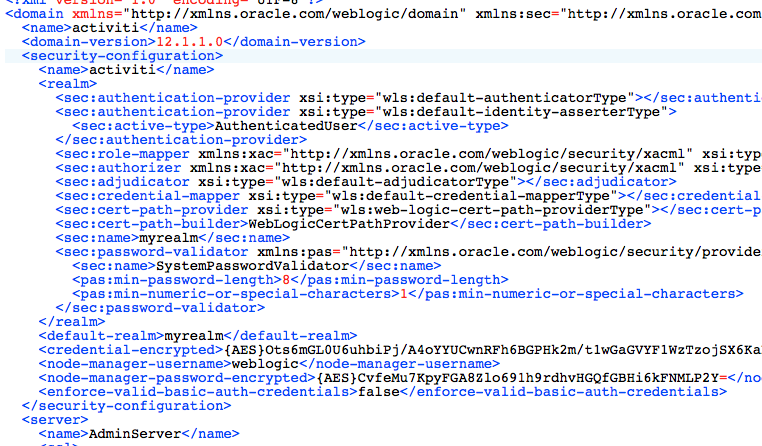 First step is to download OEPE , Coherence and WebLogic 12c and install WebLogic with OEPE. Next step is to start Eclipse and create a workspace. 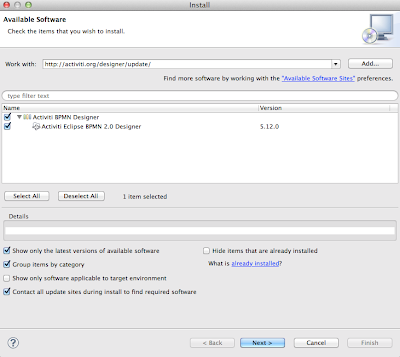 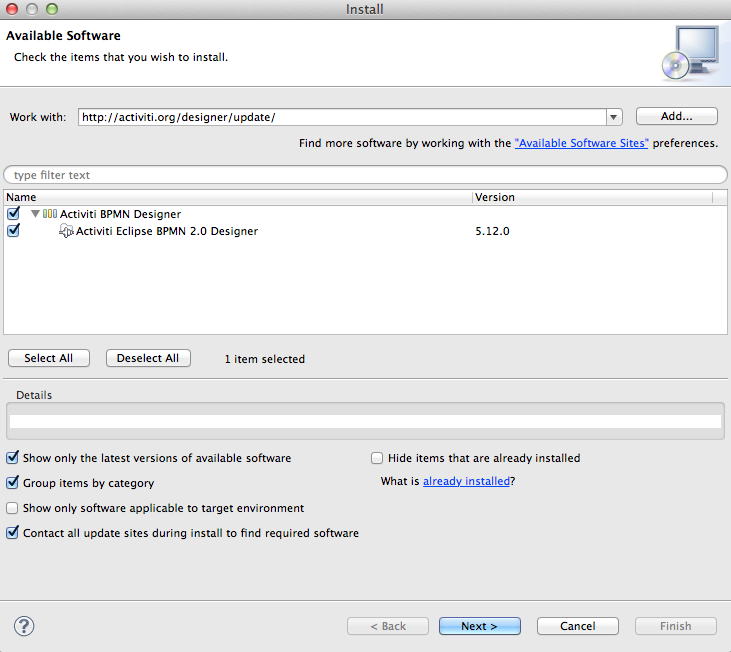 Download Activiti ( I used 5.12 version ) and extract the zip. 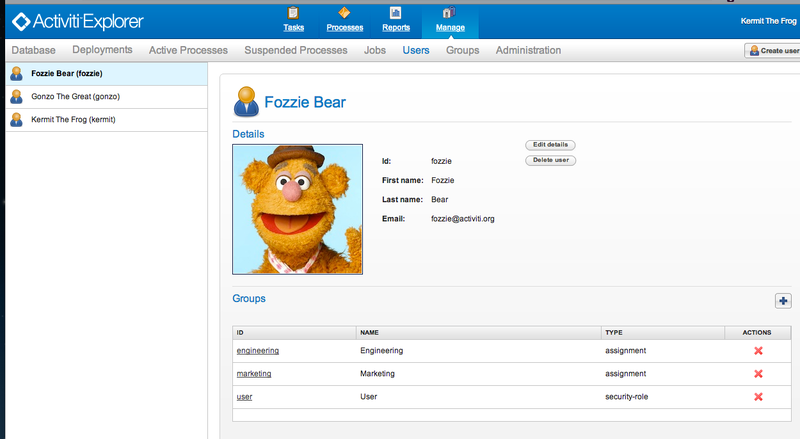 Now we can add a new server to your Eclipse workspace and create a new WebLogic domain. 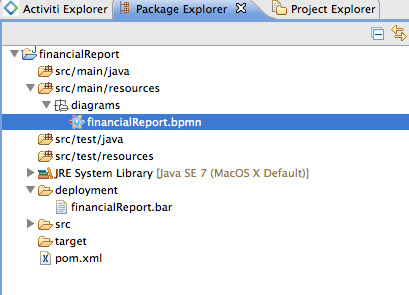 Next steps is to extract the two demo applications. 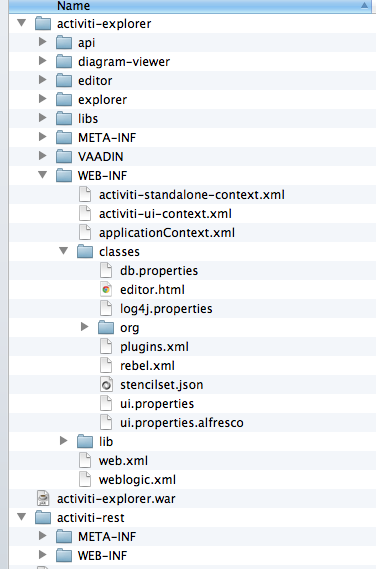 This way we can deploy these wars as WebLogic exploded folders. 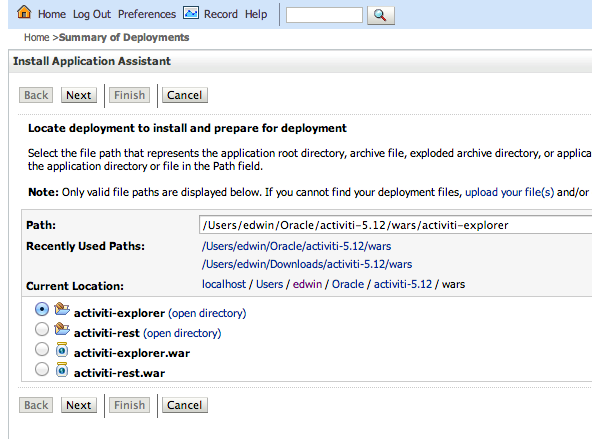 Now we can easily change the Activiti configuration files without making new wars ( change what you like and restart WebLogic server). 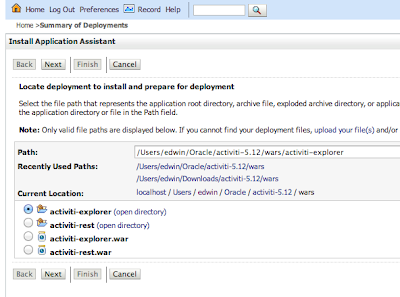 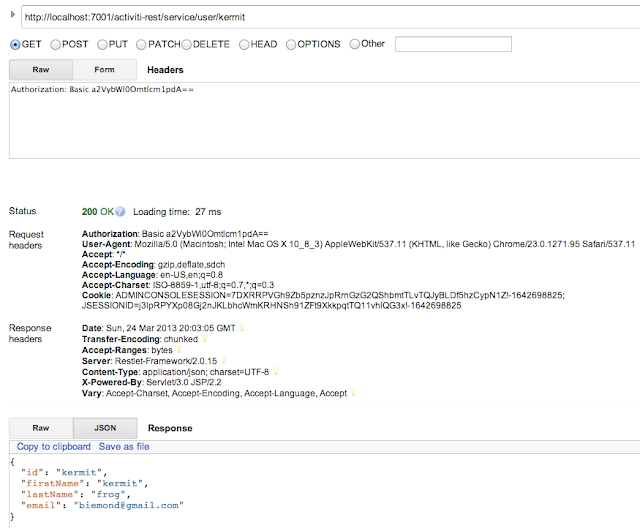 The demo activiti-explorer and activiti-rest applications need to have its own repository database , I will use MySQL ( tried Oracle as database but this will give me a lot of SQL group by and Month , Year errors ). 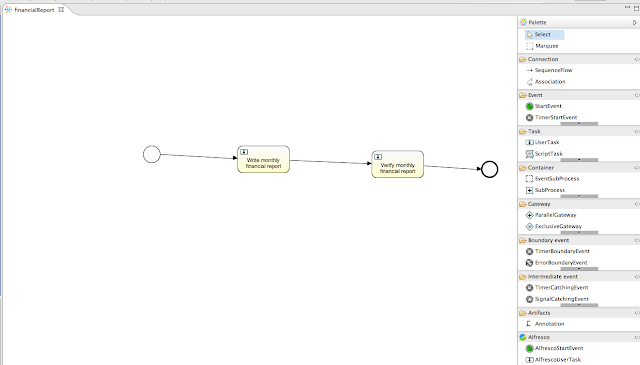 Here are my MySQL statements. 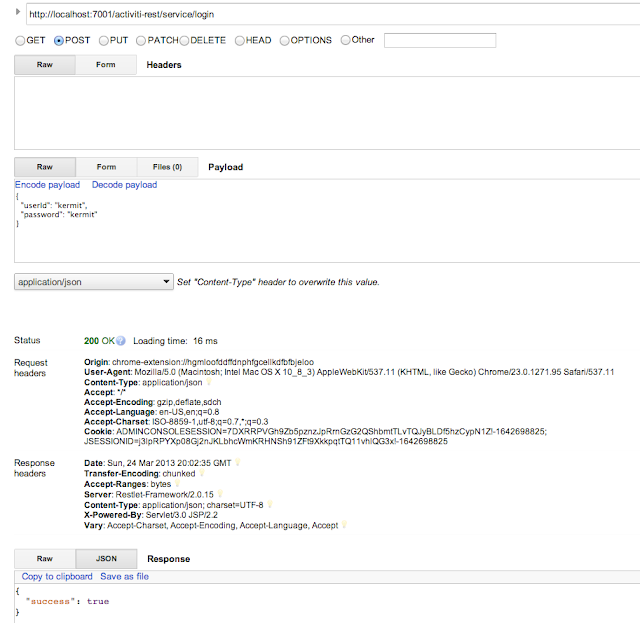 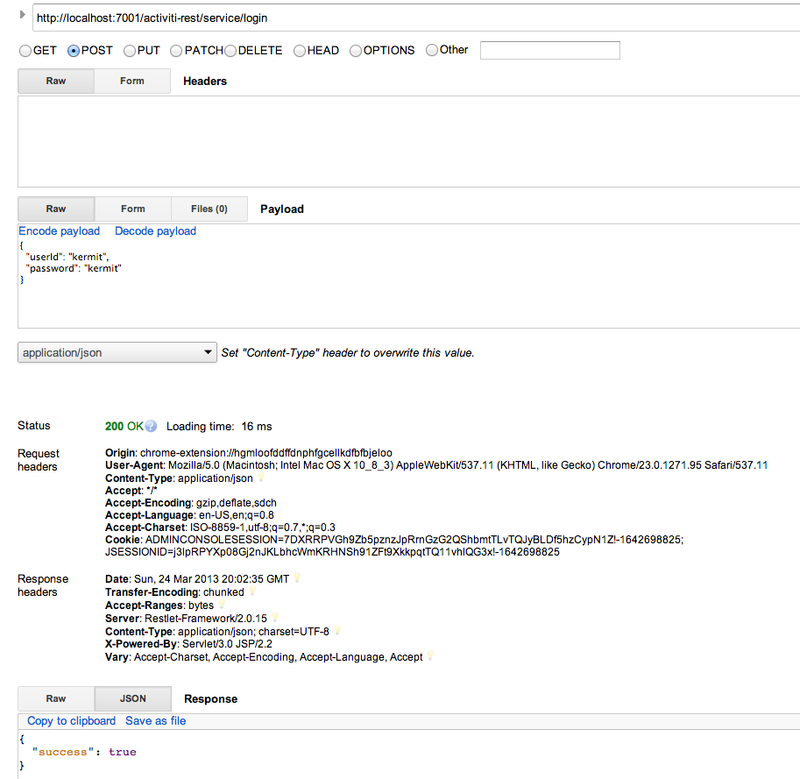 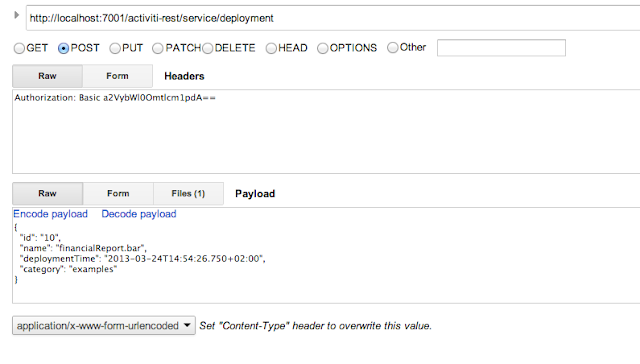 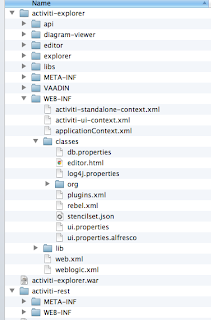 Deploy these exploded web applications to WebLogic. 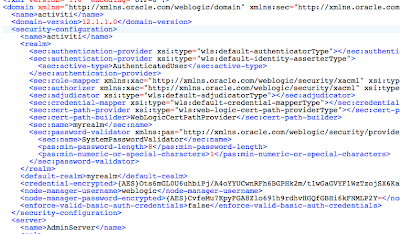 Startup WebLogic and so we can test the demo applications. 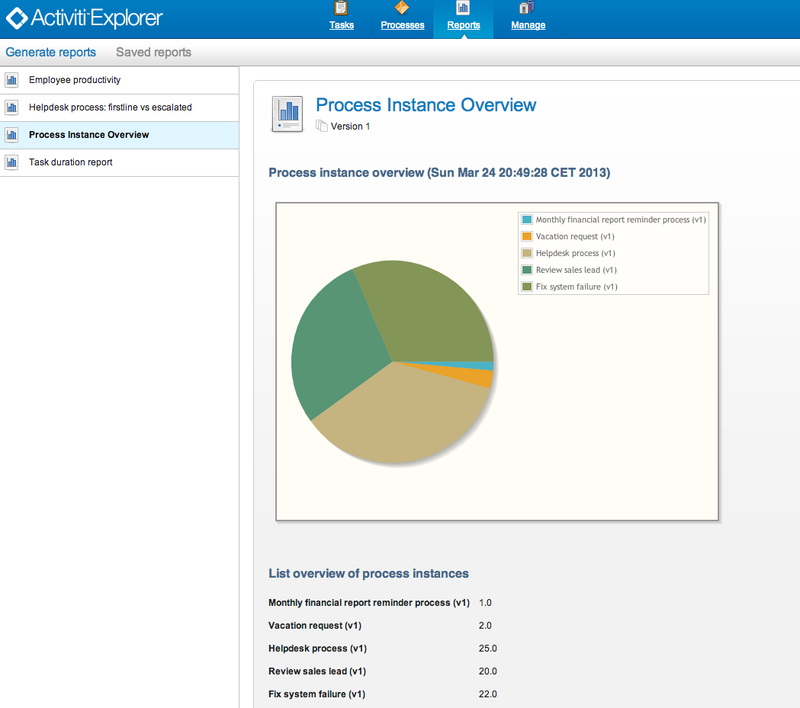 Optionally look at the activity reports. 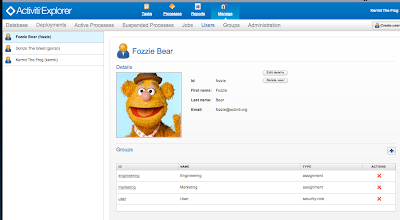 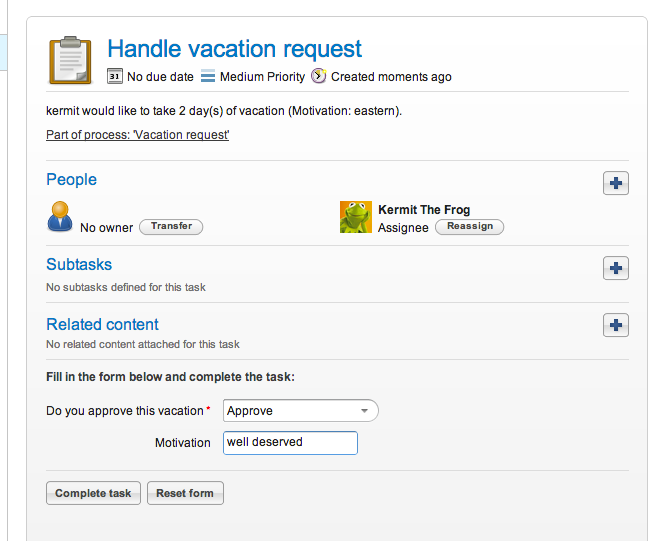 For the Rest Activiti demo application we first need to fill the user, groups tables. 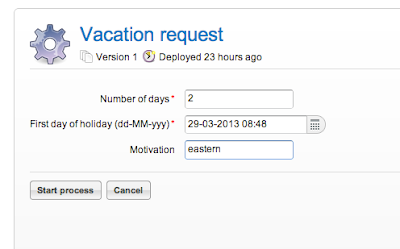 I will use the Advanced Rest Client plugin of Google Chrome browser. 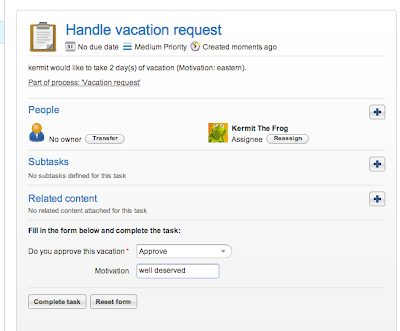 Next step is to retrieve the kermit user details. 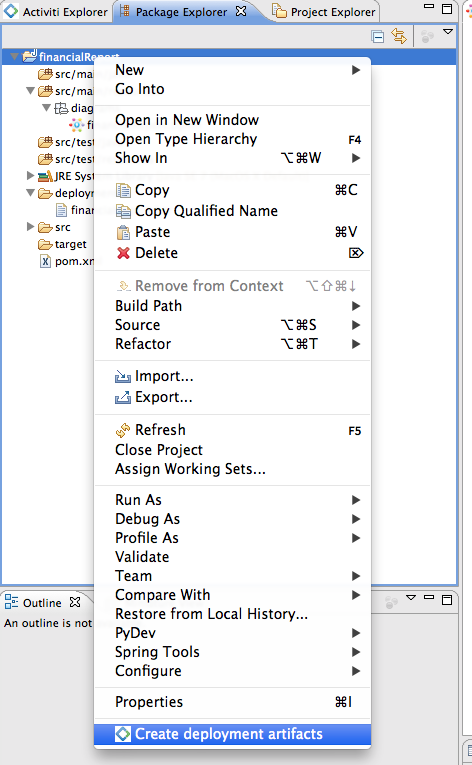 The last part is the Activiti Designer in Eclipse. 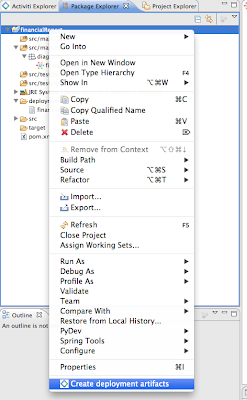 Create an Activiti Project and after that import or add an Activiti Diagram. 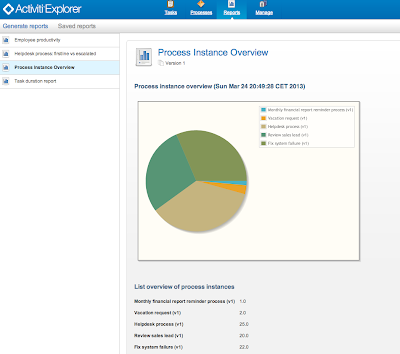 Export your process from the Package Explorer. 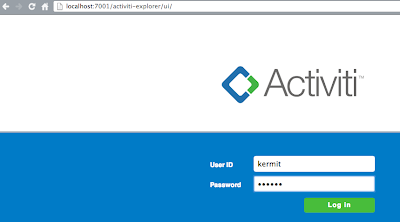 I also greated a LDAP module so you can use Activiti with a LDAP repository as Active Directory, OpenLDAP or the internal WebLogic LDAP.